On the program we have our special guest from Brazil Chico Abreu doing an AV set and a post LPM Live Performers Meeting with a selection of acts presented in Rome this weekend (28 – 31 May), with MoreEyes (vj set), l’Aubaine (Live Cinema), Scual and this will carry on also in July. Chico Abreu is an audio-visual artist based in Rio de Janeiro, Brazil. After graduating with a music and cinema background, he worked for a long time in the cinema and TV business. Since 2006 he has been doing visuals at parties and festivals such as LPM, Mapping Festival, Boomtown Fair, Nozstock, Visual Brasil, Hadra, Universo Paralello and many others. Chico runs a Ragga Bass and Digital Reggae party in Brazil. This year he will be selecting music for MC Soom-T’s South American tour, and making visuals for some European shows and festivals. 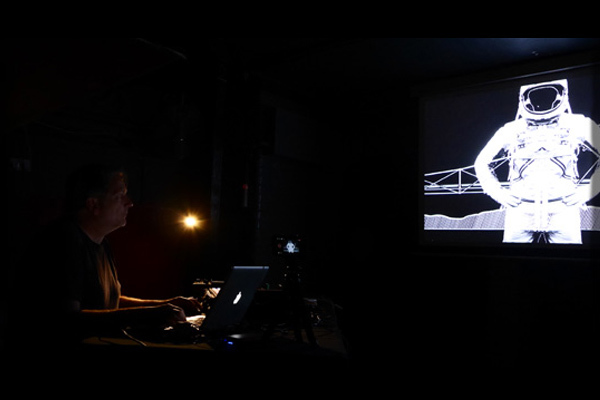 At VJ London he presents his latest audio-visual work as a VJ/DJ combination. Visuals will be presenting “Morroco” (live cinema). It’s colourful road trip mixed with impressions, memories, landscape, people and art from that beautiful country. The soundtrack is a selection of electronic and moroccan sounds. The story is narrated live by using short clips made with hand-drawn animations, drawings and video. Duo composed by Pete ElasticEye & Matt Sharp performing Sun-Ra inspired VJ set originally created for LPM Rome 2015. Special cures for uncurable anesthetized lovers – is a multimedia project started by lorenzo ciciani in late 2006. Born as an experimental web platform for the publication of multidisciplinary projects, as results of personal works and collaborations, it then moved on the physical plane, first with the activity of vjing, then by proposing multimedia performances and installations. The aesthetic research focuses on the permeation of different media categories, synthesized through digital processing, emphasizing the distortions and discontinuities that occur between them. Scual was one of the initiatives that have created the network of artistic research, stochastic resonance.